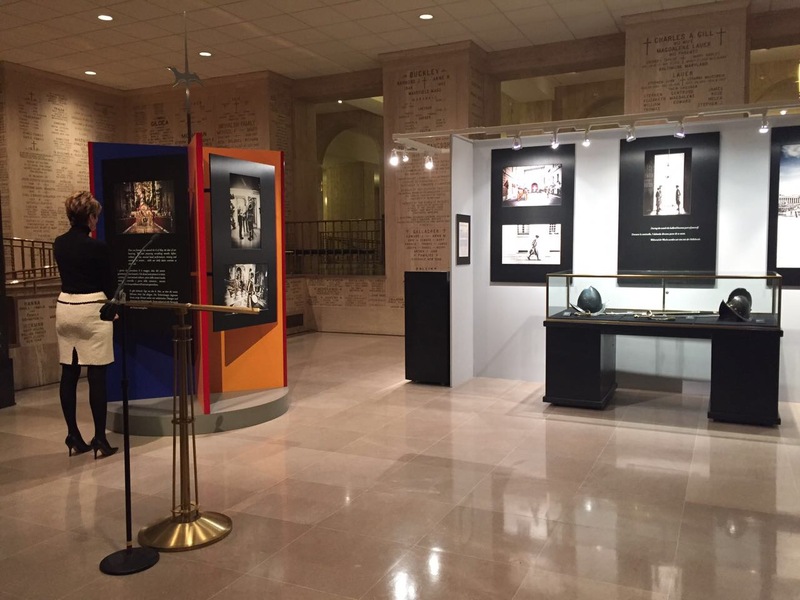 The Life of a Swiss Guard, A Private View opening reception was held on April 6, 2017 at the Basilica of the National Shrine of the Immaculate Conception. The Exhibition was unveiled Thursday night at the BNSIC with welcome remarks from Msgr. Walter Rossi of the Basilica, Most Rev. Christopher Pierre, Apostolic Nuncio and Msgr. Charles Antonicelli, representative for Cardinal Wuerl. 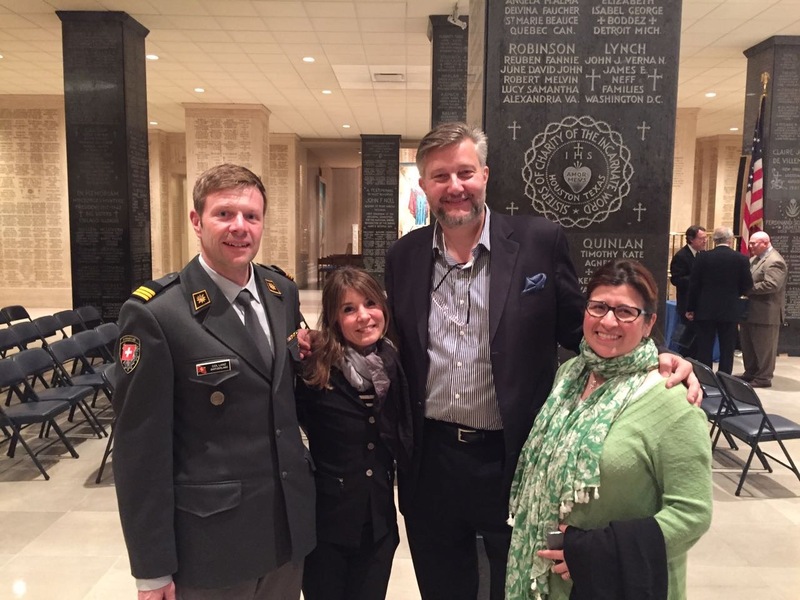 We were delighted to have Col. Christian Lanz of the Embassy of Switzerland in attendance and briefly speak about traits needed to become a Swiss Guard. 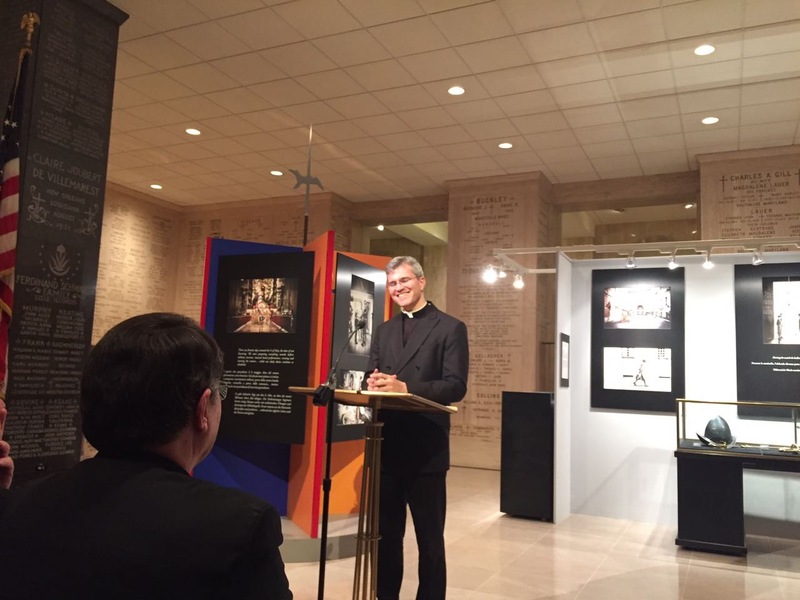 Father Daniel Hennessy, our International Director, traveled from Rome to spend the week with us and offered his thanks to the DC Patrons for bringing the exhibit to the city. Dr Romina Cometti and Dr Geraldine Rolling – the Archivist for the Basilica. 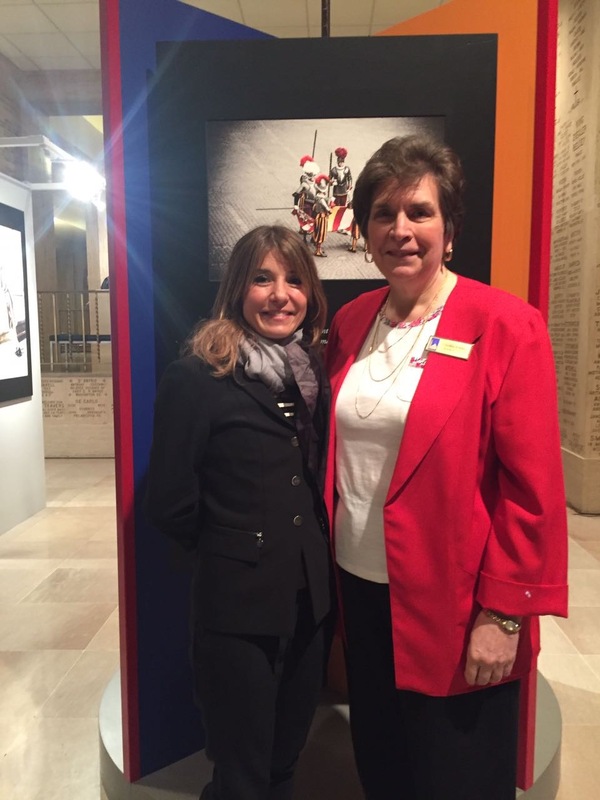 Dr. Geraldine Rohling, archivist for BNSIC was recognized for her assistance in setting up the event and Dr. Romina Cometti, who curated the exhibit and who we all know from the Patrons office in Rome, spoke about the origins of the exhibition and its message. 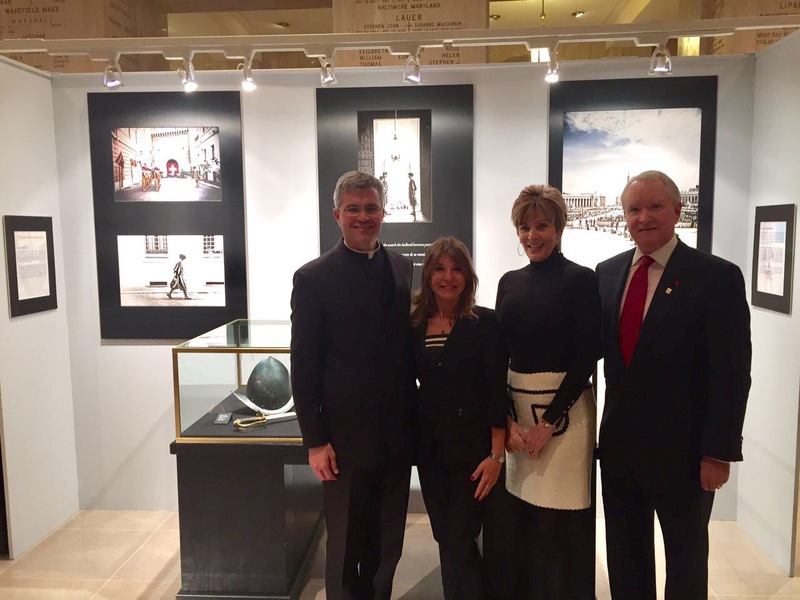 Colonel Lanz of the Swiss Embassy, Dr. Romina Cometti, and Andreas Widmer a former Swiss Guard with a guest. Two former Swiss Guards, Andreas Widmer and Dr. Mario Enzler, offered humorous accounts of their decisions to become a Swiss Guard and a few stories about their time with St. John Paul II and how it deepened their faith. CEM Martin, who acted as emcee, thanked the DC Patrons for their generosity and support as they made this Vatican Museums exhibit possible for thousands of visitors to enjoy. About 80 guests were there to enjoy the wonderful hors d’oeuvres and period music provided by Concerto Degli Imperfetti, led by Jean Cioffi. 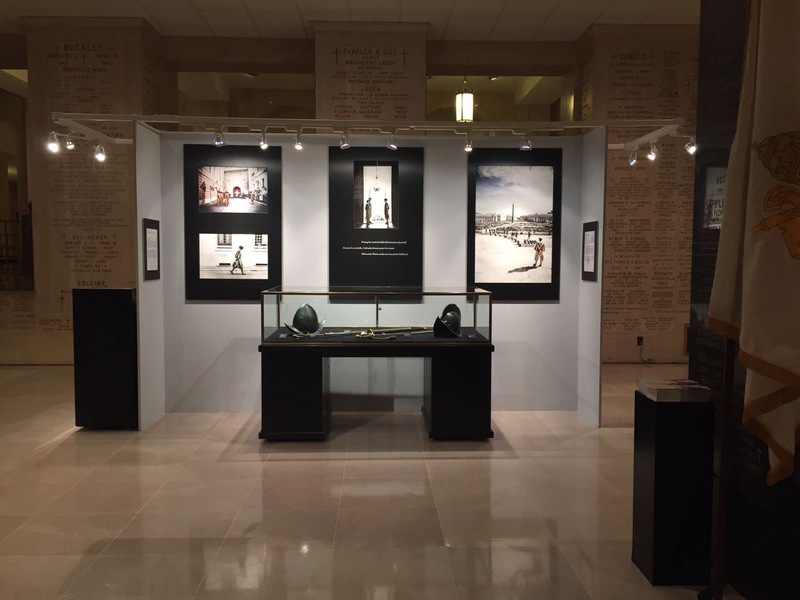 The exhibit will be at the National Shrine in Memorial Hall through May 21, 2017. Open 7-7 daily and free to the public. Please tell your family and friends.